Experience the Privileges of Membership. Become a MahjongTime League Member. Now that you’ve been with us for a while, you’ve seen a lot of changes. Thanks for your support, in only 11 short months, our community has grown tremendously and MahjongTime is now jam packed with features such as Hong Kong & Chinese Official Mahjong, Live Help, Progressive Tournaments, Private Chat, and many more! Again, many thanks for your valuable feedback to help us building the best online mahjong experience! At MahjongTime, we aim at providing our members the best online mahjong games available on the market today. Our unprecedented growth in members and traffic require regular hardware updates and increasing amount of bandwidth costs. Our commitment to continually improve and upgrade our software has cost us increasing amount of time and development costs. Now you can help us by joining our new Premium & VIP League Membership! Your support will surely be used to boost our effort in building the first and the largest International Online Mahjong League! As a league member, you will enjoy many great benefits such as FREE Game Credits, Personalized Avatar, League Rating & Tournaments, Tournament Reward Points, Convert Game Credits into Cash, and many more for a low fee! 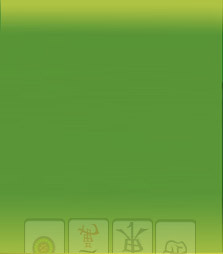 In addition, we will continue adding new features & mahjong versions and provide you an exceptional service. In addition to winning some cash, League Members will also earn Reward Points that can be converted into cash or redeemed for prizes! US version will be available soon! We will also be working on other versions such as Japanese and Taiwanese. Challenge your mind and coordination by playing on multiple tables at the same time! We are inventing series of features to enhance the communication and the interaction with other members. Look for these new features soon under the community sections! and many more features to come! We are committed to continually improve our games and we are working hard to make your mahjong experience as enjoyable as possible. Look for new features to become available on regular basis! Limited Time Only. Take Additional 20% Off! Become a League Member now, and you'll receive an additional 20% off the yearly membership fees (thats only $39.96/year for Premium and $63.96/year for VIP). This offer expires on 07/23/2006.